Jan 16th marked 30 days since The Way Into Chaos went on sale, and I know (because they ask) people are curious about how it’s doing and what effect it’s having on my backlist, aka, the Ray Lilly novels. Before the graphs, the explanations. First of all, we’re talking about Kindle sales here. Most every other vendor is selling books in the low two digits. Paper copies (added together) are slightly better. But while Kobo, iBooks, Nook, Smashwords, etc, made a decent showing in the first few days after the books were released, they’ve since fallen off. The Kindle is where most of the action is, and these figures are 100% copied from Amazon’s Kindle page. 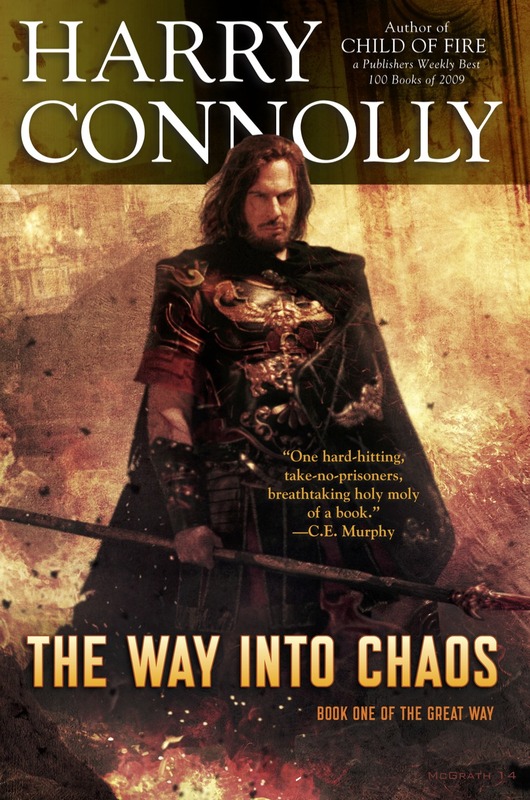 Next, Book one, The Way Into Chaos, was published on Dec 18. Book 2, The Way Into Magic, was published on Jan 13. However, Amazon treats the release date as GMT. So, once it hits midnight in Greenwich, England, they start delivering pre-ordered books. For the graphs they show me, though, the sales are attributed to each date according to *my* time zone, which is PST. So from my perspective, my pre-ordered books were loaded onto people’s Kindles starting at ~4pm on the day before release. Meh. It’s not something I worry much about. As for the new books, I took them out, mainly because I didn’t want people sitting down trying to calculate what I’m earning, so they can give me advice. This is a thing that happens to me. So, the y-axis for “All” books is identical to the y-axis for book 2, but not for book 1. Okay, that was longer than I expected. Let’s do the thing. Obviously, the first thing you notice is that gigongo spike on the right side. That’s the sight of many many pre-orders being delivered, just after GMT turned over to 1/13, as I mentioned above. There’s no corresponding pre-order spike for book one at the far left because a) there weren’t many days for people to pre-order and b) it helps when book one is already out. There’s also an utterly unsurprising dip on Christmas day, with a little bump just before. What I didn’t expect was that the days after the holiday would be even better. I thought the gift-buying effect would be stronger than the gift-card effect, but nope. Something I like? The way it keeps trending up. In December, the best sales day was the 28th. The sales on that date tied with the worst sales date in the first half of January. Good thing I don’t believe in jinxes. There’s also a little bump on and after Jan 3rd, but we’ll come back to that. As I mentioned above, the y-axis for this chart is identical to the one above, so this just proves that the big spike really was all those pre-orders. And yeah, sales have dipped afterwards, but that’s not a big surprise. It’s still early days, as far as I’m concerned. The change in y-axis makes comparing numbers sort of useless, but the trend is there. There’s an odd little dip on Jan 13th, the day book 2 was published. I’m not sure if it’s just the attention book 2 got that day, with it’s own blog post and everything, or if there was something else that made sales dip. There’s also a nice jump on the third of Jan and after, but it dips again, so I’m not sure what it could be. 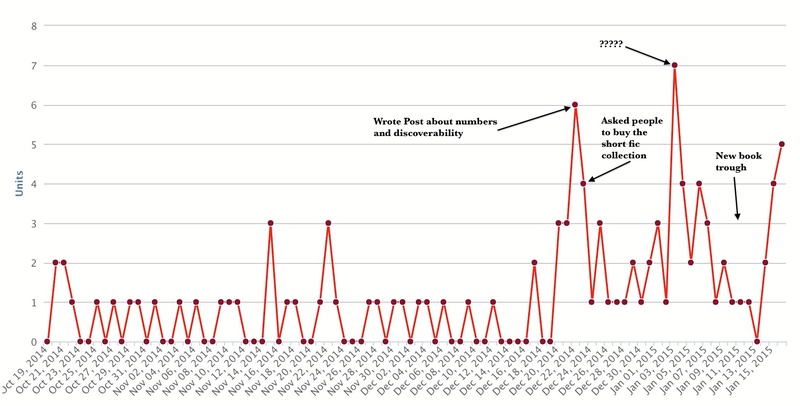 By the way, I’ve compared these peaks and valleys to the days I post on the blog, and there seems to be no correlation. 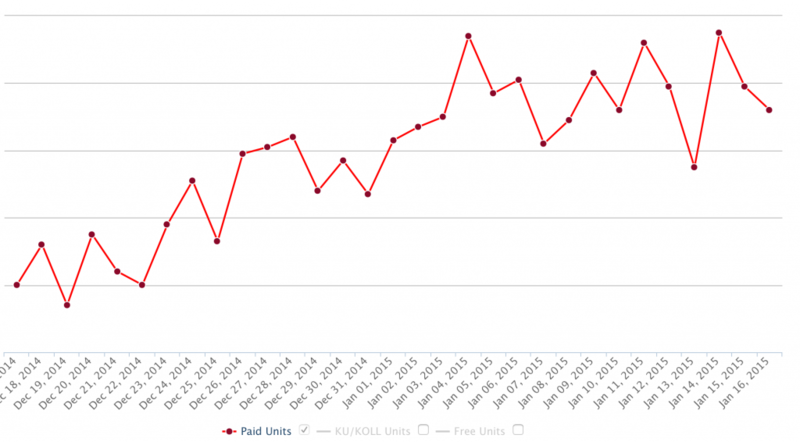 Some blog posts come on low sales days, some high. Maybe I could compare tags or something, but it doesn’t seem worthwhile. Let’s go with the short fiction collection, Bad Girls Die Horrible Deaths and Other Tales of Dark Fantasy. This time, it’s a 90-Day graph. As the caption says, this time the graph covers 90 days, because I wanted to show the effect on a backlist item when a front list item came out. Not powerful, is the verdict. As you can see, there’s some effect, but not a lot. Frankly, it’s about what I expected. Ebook-only short fiction collections are not exactly known for burning up the bestseller lists, which is why I released this last July. I was hoping for a little extra in my bank account. There’s also what looks like the new book dip, although there are other troughs, too, so maybe it’s just noise. The first big spike came on the day I talked about being unable to get my backers to download their books. On the day after, sales were a little lower, even though I posted an apologia along with a note about the short fiction collection’s availability. The other, slightly larger spike, comes on the third of January again. I’m still not sure what that’s from. I’ve been told that, when a book on Amazon hits 25 (and then 50) reviews, Amazon’s algorithms begin to show it more frequently to readers. On Jan 3rd, I got my 25th review for The Way Into Chaos, and maybe that caused a bump across a bunch of different books. 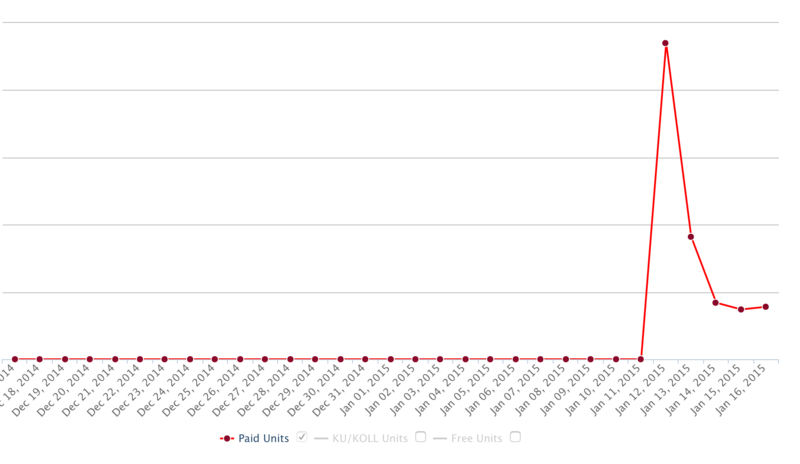 Finally, the last chart that shows 90 days of sales of my last book, Twenty Palaces. Yeah, there’s a bump, but it’s pretty negligible. Part of this is because most of the people buying The Great Way already have the Ray Lilly books. Part is that new readers haven’t even gotten their hands on book 3 yet, because it comes out the first week of February. So maybe 20P sales will pick up. I hope so. I could use the money, and a bump would take me closer to earning out in my contract with Del Rey. One thing: I’m sure people out there could look these graphs over and make a pretty good estimate of the number of books I’m selling. Please don’t. It’s creepy. Last thing: I’m glad that sales keep trending upward. I hope it continues for the next thirty years or so. But I have to say that most of that trend isn’t down to my marketing efforts. Yeah, I wrote the book, and people like it, but I’m not the one spreading the word, making the sales. I’m tweeting to the same people, sending Facebook updated and G+ posts to the same crowd of followers day after day. The real reason new people are trying the novels is because readers are spreading the word.